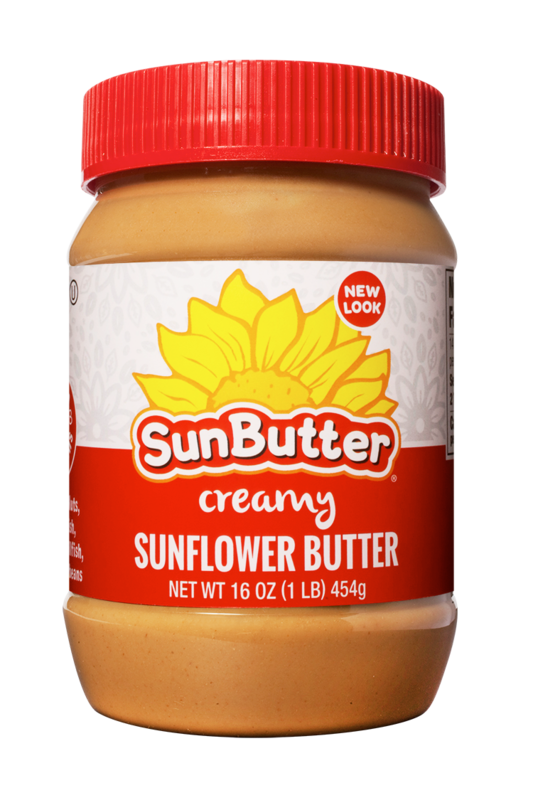 A great-tasting sunflower butter, SunButter Creamy is smooth and creamy, safe for people with peanut and tree nut allergies, delicious and packed with nutrition. 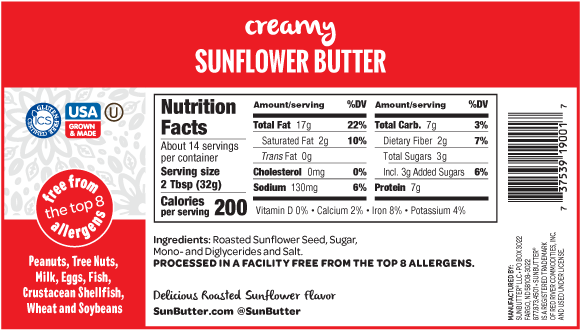 It has 7 grams of protein and more vitamins and minerals than nut butter. 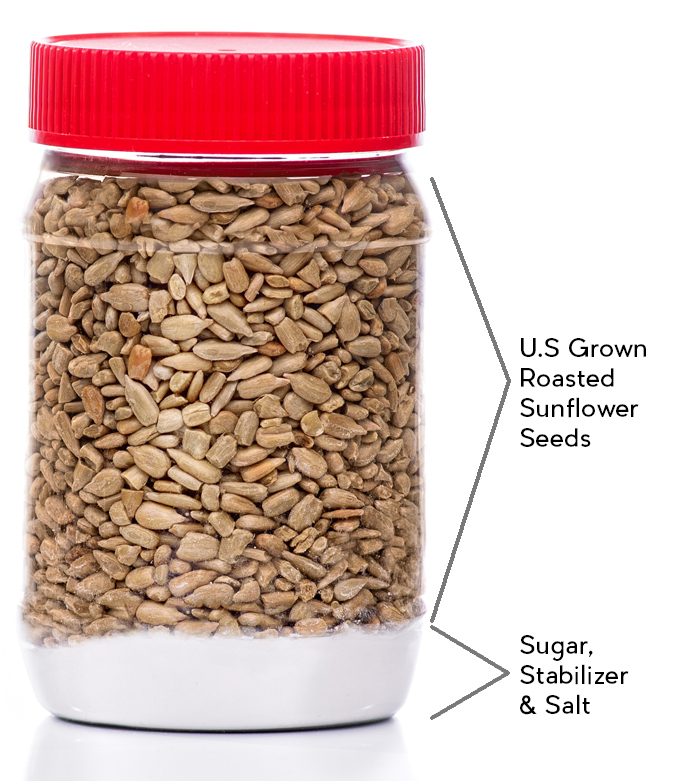 Straight from the jar, on a sandwich or in a variety of recipes, kids and adults love it! 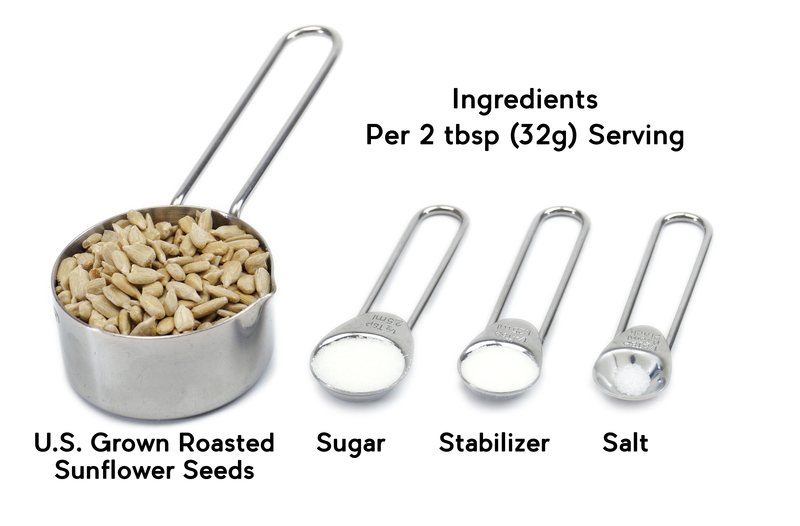 New look coming this fall with the same great taste!